Natalie drop by just now to get gelish-ed! 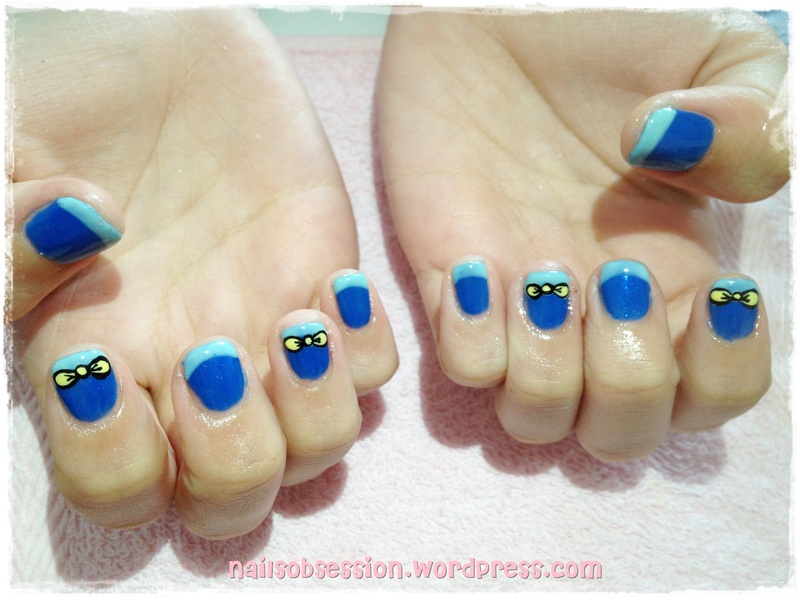 She decided on something different, that is to had on a lighter shade of blue as french tip and azure blue as the base! Also drew on yellow ribbons so that the colour will pop! Close up. Painted 3 layers each for the base and the french tips else the colour wouldn’t look as strong as it seemed now.